Part two of our in depth special interview with Michael Alkin is out now. You can view the whole interview here. To view all our exclusive preview clips from part two see below and look out for part three in our @PalisadeRadio uranium 10 part special series. Even though uranium has been in a bear market for so long, how come everyone has passed this up? Michael Alkin gives us his answer here. 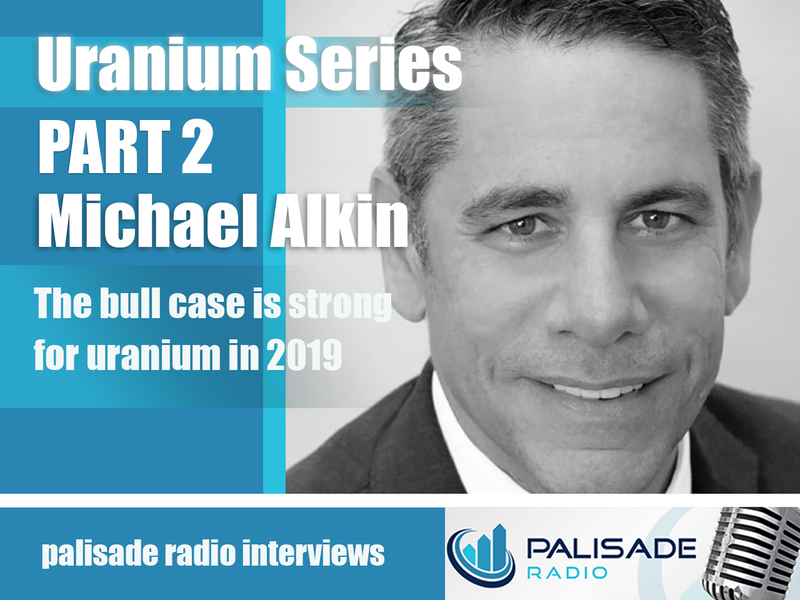 Michael Alkin goes through the recent news about section 232, and what will move the Uranium market going forward - view here. Michael Alkin talks about whether Uranium is now heading into the perfect storm for a price spike - view here. Missed part one of our Michael Alkin special interview? - view here.